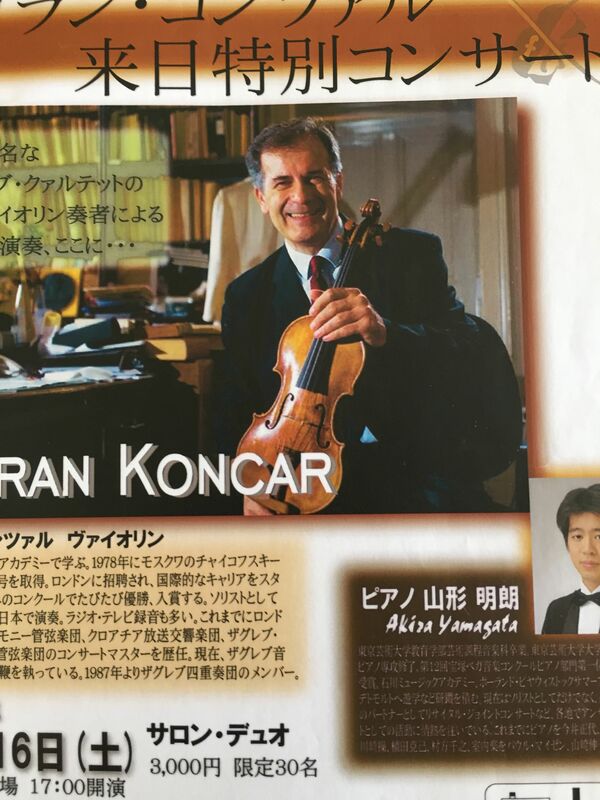 The famous Croatian violinist Goran Končar will in May go on tour in Japan, where he will give concerts in some of the most prestigious concert halls in Kamakura (Shogai Gakushu Centre), Tochigi (Oyama Shiritsu Bunka Centre) and in Tokyo (Sumida Triphony Hall). 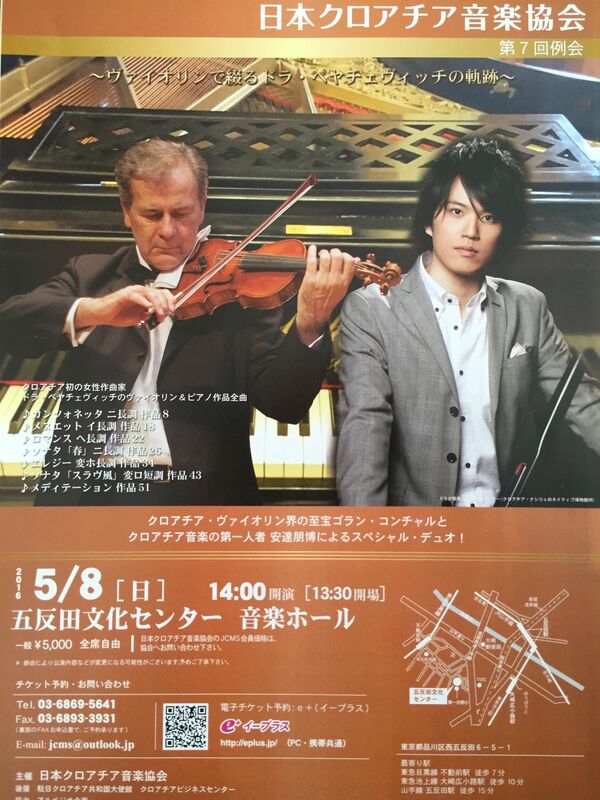 He will perform with Japanese pianists Mayumi Iwanami, Sadakatsu Tsuchida, Junko Iwashita and Tomohiro Adachi. The repertoire to be performed in concerts includes the widest range of compositions by J. S. Bach, L. van Beethoven, P. I. Tchaikovsky, A. Dvorak, F. Mendelssohn, C. Franck, J. Massenet, P. Sarasate and F. Kreisler. 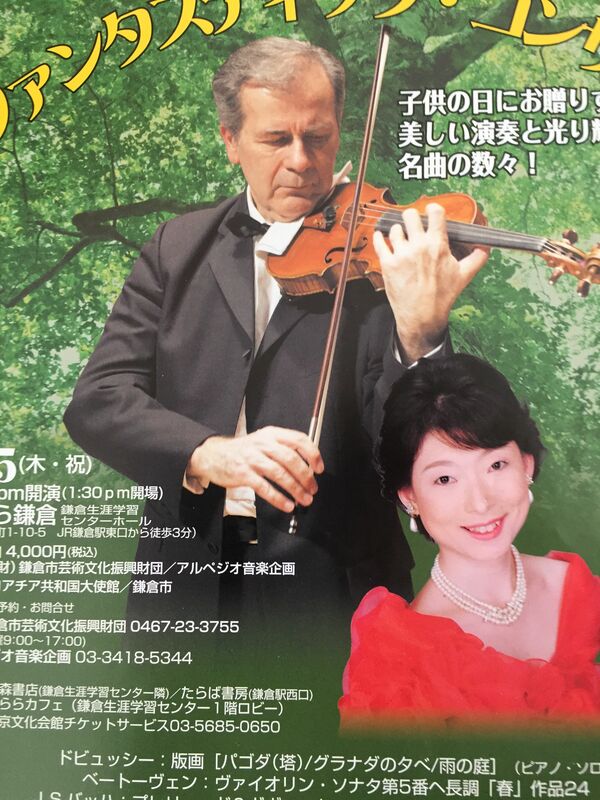 So many different programs in one tour is a huge challenge for any artist, and this especially holds for the final concert in Tokyo organized by the Japanese and Croatian companies, where he will perform all the violin works by Croatian composer Dora Pejačević. Since such a program has never been performed even in Croatia, let alone outside the country, this is a great opportunity not only for the presentation of Croatian musicians in Japan, but of Croatian music and art in general. Sonata for Violin and Piano in D Major, Op. 26 Spring Sonata (1909). 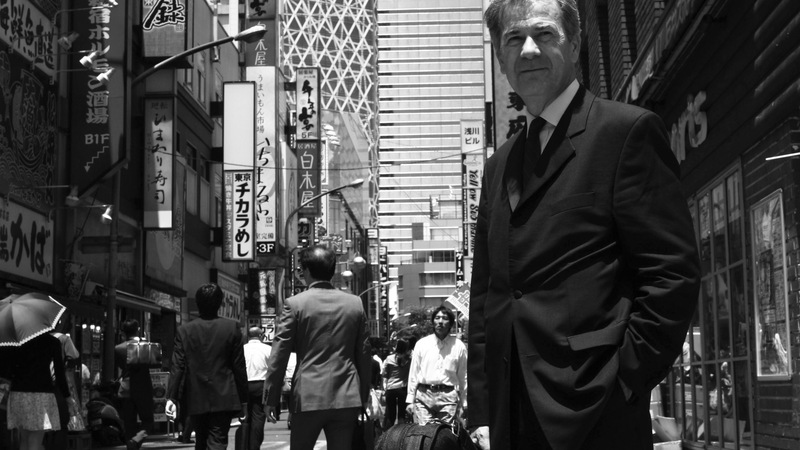 Following the announcement of the concert program Goran Končar will also hold master classes in Tokyo, where he will present the LAUS Academy Dubrovnik, which has over the past decade reached recognition not only in Europe but also beyond. 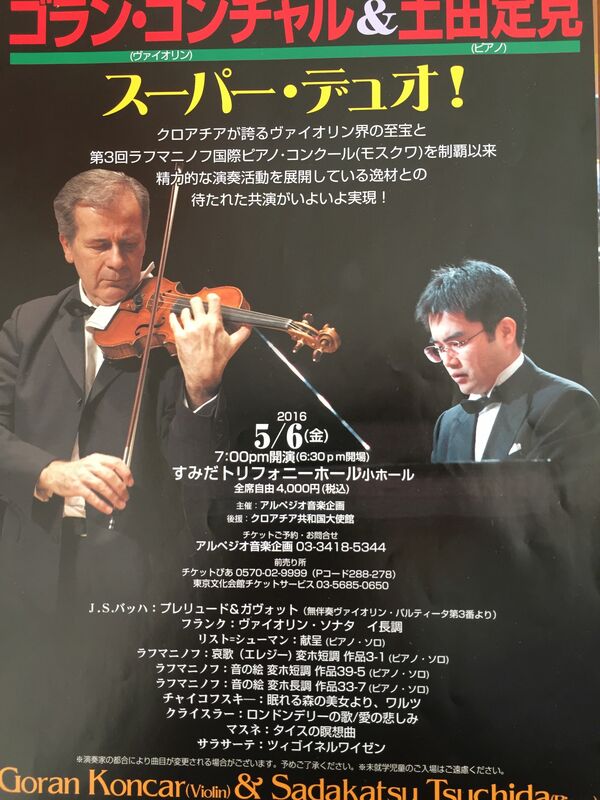 He will also give experimental concerts playing on several extremely valuable instruments from the collection of the Foundation Nippon Violin Dr. Muneyuki Nakazawa.